• Unique design of "amolee" Flush bottom ball valves assures " Zero Dead Leg Area" above the ball where it tends to close. • Casted and fabricated in all available metallurgy, Carbon Steel, S.S 304, S.S 316, S.S 304L, S.S 316L, and as per special specifications. Nuclear fuel charging casks are used for charging of nuclear fuel into the reactors. Manufacgtured from is 2062 gr. B plates cladded with stainless steel 304 l plates and provided with lead shielding. Stainless Steel is manufactured by us using high grade steel that is suited for various applications. This is made to undergo several treatment processes to improve the aspects of performance and durability, making sure that these match the set standards. The Stainless Steel offered by us is high in strength and ductile. 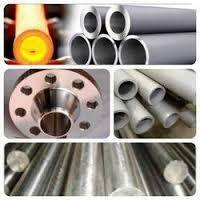 We are the prominent Importer and Supplier of Stainless Steel Products. The Stainless Steel Products we offer are precision engineered and have high endurance. The Stainless Steel Products are corrosion and abrasion resistant. The Stainless Steel Products have the dimensional accuracy and are available in various shapes, sizes and length. 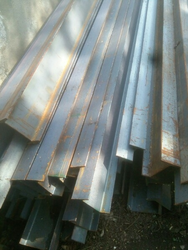 astm a-213, a-269, a-312, a- 358, a-240, tp-304, 304l, 304h, 316, 316l, 316ti, 317, 321, 347, 309, 309s, 310, 310s, 409, 410, 420, 430, etc. astm a-335 gr, p1, p5, p9, p11, p12, p22, etc. Astm a-387 gr. 515/516 gr 60/70 & is 2002 etc.